Story of Yanxi Palace 延禧攻略 which is only on its second week has quickly become the top web drama. According to Vlinkage rankings, it currently holds fourth place just after The Drug Hunter, Sweet Combat and Legend of Fuyao. 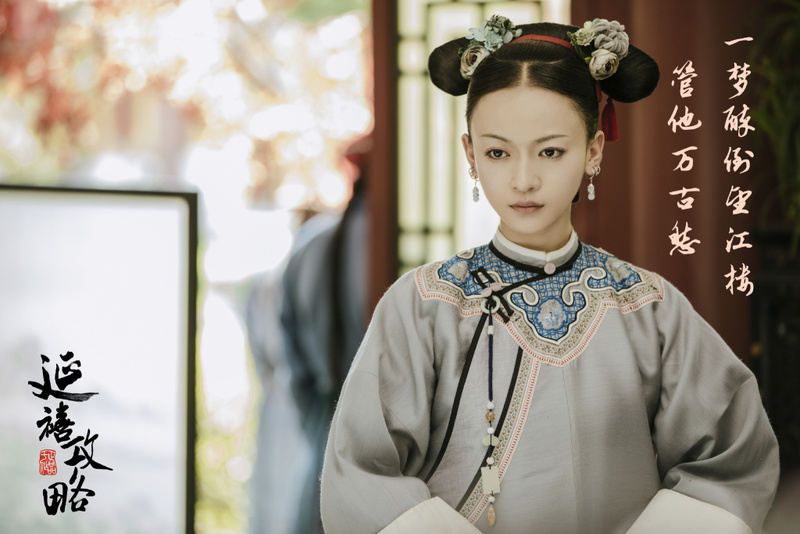 The first two are dramas on primetime television while Fuyao which has a late night (10pm) television broadcast has been raging in online viewership for over a month. Yanxi's success which stars newcomer Wu Jin Yan comes as a surprise even to the biggest Yu Zheng skeptic. I guess the guy's still got it, even my friends are watching this! Is 10pm a really bad timeslot. I feel like a lot of the hyped up "idol" dramas are on this timeslot lately eg. Legend of fuyao, martial universe,meteor garden. Has their been dramas in this timeslot that got great ratings? Swords of Legends, Journey of Flower, Princess Agents aired in that timeslot and have broke 2 in ratings... all three aired on Hunan and its considered the superior platform. 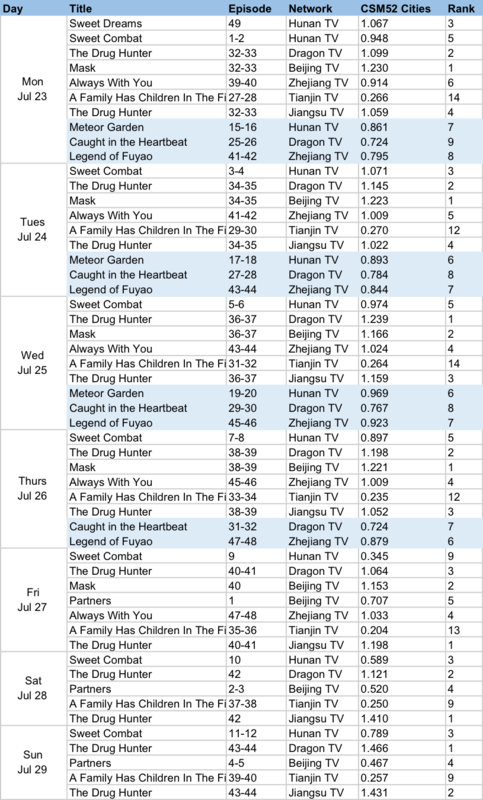 But generally for the two other channels like Dragon and Zhejiang, the ratings are pretty bad. Most dramas at that timeslot hover around 0.5-0.6. Some dramas that perform better at that timeslot are The Mystic Nine (Dragon TV), The King's Woman (Zhejiang); Fuyao (Zhejiang); all three passed 1.0 mark several times; and When a Snail Falls in Love (Dragon); gotten around 0.8-0.9. I'll add Xuan Yuan Sword to Hunan as well. It was the first drama to do well on the timeslot which paved way for this timeslot to be permanent. Aww, was hoping Legend of Yunxi would still stick around. While I like Fuyao a lot (Ethan!! ), the plotholes in that drama are just too frustrating. Was rooting for the pretty realistic romance in Yunxi. Wasn't planning on watching Yanxi, but might just have to try it! Sigh me too, ah well. At least their stars are still in the top 10 list! Meanwhile, I peeked at the first episode of Yanxi and it's not bad, I kinda like the quiet reservedness + courage of the female lead. Lots of good series seem to be out and about this month tho, so I might just dip my toes in occasionally while checking out Bloody Romance. Qing palace dramas aren't my usual taste. Sorry, I don't understand a lot of the ratings and online or whatnot, but why isn't Legend of Yunxi on the lists? Is it done airing or released? But they're still counting the views though, right? They just reached 2 billion like a week ago? I watched 5 episodes of it and really like it so I hope it's doing good. Can anyone tell me if it is, since I have no idea how ratings and stuff works in China. The ratings don't mean anything significant besides proving how popular the stars are. As mentioned above, Swords of Legends, Journey of Flower, Princess Agents, Legend of Fuyao all have the biggest ratings but they are very slow paced dramas with dumb story lines, as well as little to none character development. The only reason why people would watch them is because of the actors and actresses in the show. Story of Yanxi Palace is very interesting to watch. It is very fast paced. It may be a Yumama drama, but this time the show is undeniably well done. It is, the same old jealousy harem plot. But it survived my criticism because the main actress ability to act in different types of personalities, while the plot is also intricate enough to proven her character to be very smart, very cunning and extremely fast thinking. She is very much like a wuxia hero, only without the martial arts. She kicked more asses than all the girls who tried to do slow motion fights. I love the plain look of her, as well as her courage to make all sorts of different faces regardless if they will NOT make her look pretty 100% of the time. There is never a moment she gives me the feeling of being desperate to look beautiful and cutesy, making weird faces out of the blue (for that sake of being cute). It's only all the acting and melting into the character! She is an actress, but her character is also a very very good actress who would do things no one would've guessed because her looks is actually innocent and very calm. She's tricky. Some people find her too fake for being so daring as a slave and still not killed yet, I disagree though. That's because her character was well written enough, she was so far insighted that she got the best person (queen) to back her up already and she herself knows how to save herself (and even others too). Although I like the main character very much, my favorite character so far is actually the queen. The queen is very graceful, it's a type of character I'd never seen for such a long time because nobody was able to attempt that role that gracefully. Her voice is the most soothing and comfortable thing ever, I think it's her real voice. I think they all dubbed themselves, saw this one video where they spoke on stage...and Wu Jin Yan actually seems to have a real life character of being quite outspoken (not those bluntly rude kind) but seems like good at public speaking. The storyline isn't all that intricate, which is a good thing! There are so many eventful of things happening, but they were very interesting, fun to watch, keep the story moving, tie to the main point somehow in a way, do not astray the main character from their goal and force them to become goal-less. Watching it raw! I speak chinese but not proficiently. I really hope it gets subbed as well, I was waiting for Nothing Gold Can Stay to get subbed for forever and never happened, I'm starting to imagine this one will be the same because it's been a while already. Usually, if these dramas will get subtitles that will happen within the first 2-3 weeks already. Actually, Nothing Gold can Stay HAS been subbed. People added English subs to the official episodes on Youtube.